April 10 is marked as National Siblings Day in parts of the US. It is a day to express your love and gratitude towards your brothers and sisters. 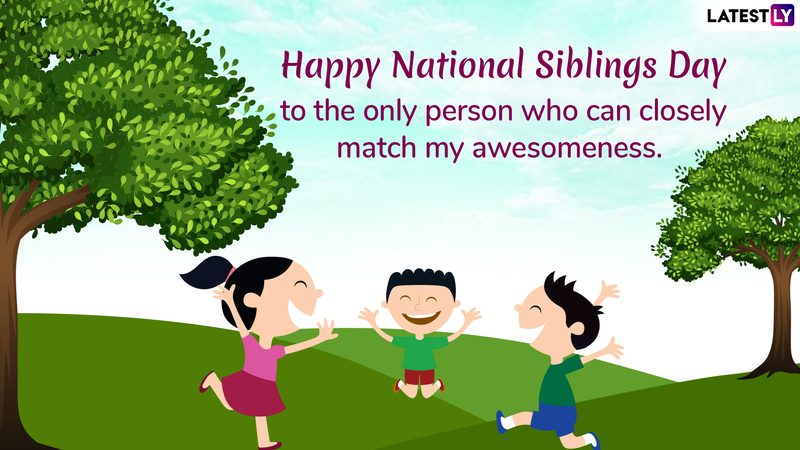 Also commonly referred as Siblings Day, it is a day which honours the bond with brothers and sisters. And what better way than passing on funny yet loving messages to them and wish them a Happy Siblings Day. Most siblings don't get along too well, fight often and argue but they also have immense love for each other. In times of difficulties or getting scoldings/beatings from the parents, it is the siblings who come as strongest support. So, it is a day to express all that love which is more often than not, left unsaid. 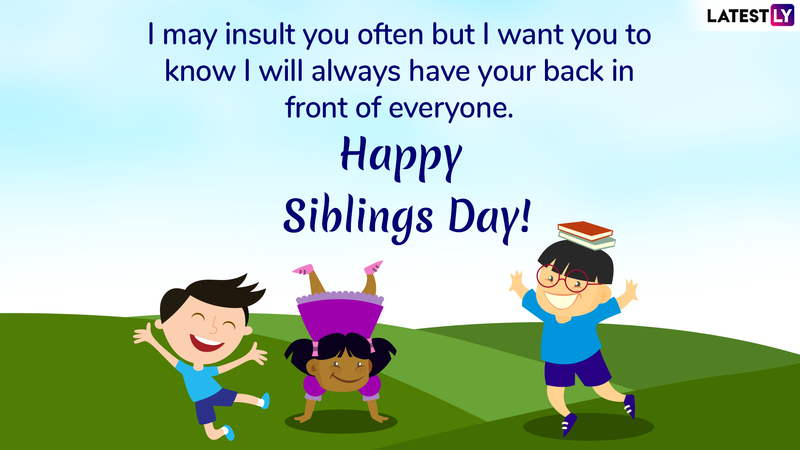 If you are looking for Sibling quotes, funny images and messages for your sister and brother, let us help you out with a cute collection of Sibling Day greetings, GIFs, images and fun quotes. 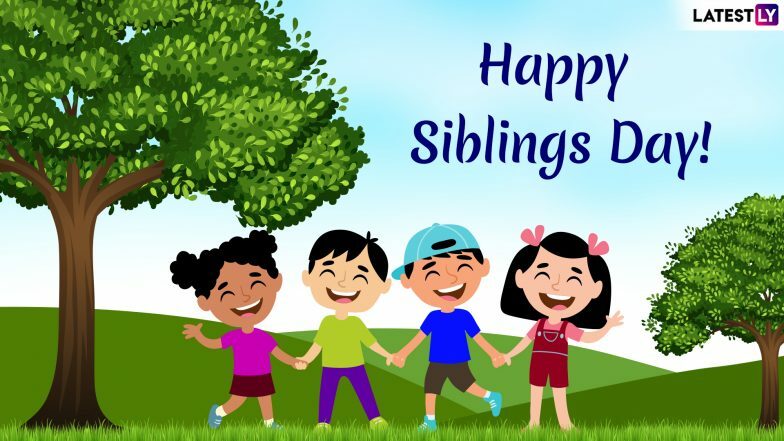 Siblings Day 2019: History And Significance of the Day That Celebrates The Bond of Brothers And Sisters! The celebrations of this day were conceived by Claudia Evart to honour her siblings – both who had a tragic death. Primarily marked in the US, this holiday wasn't originally recognized by the government but over the years its become very popular and is celebrated in different parts of the globe. Siblings share such a unique bond, sometimes more than that of best-friends and this is the day when you express all your love towards them. 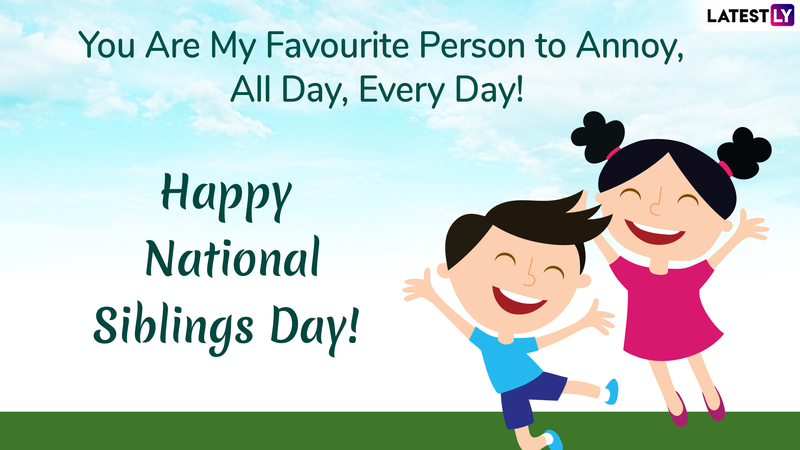 Given below is a wonderful collection of Happy Siblings Day messages, images, fun quotes, GIFs which you can share on your social media or WhatsApp and wish your brother or sister, and convey your feelings. 5 Bollywood Songs For Brothers and Sisters That Perfectly Define Sibling Relationship. Message reads: It's National Siblings Day and I must say you are really lucky to have me as your sibling. Message reads: With you, I share the most amazing part of our life "Childhood" and it can never be lost. Happy Siblings Day! 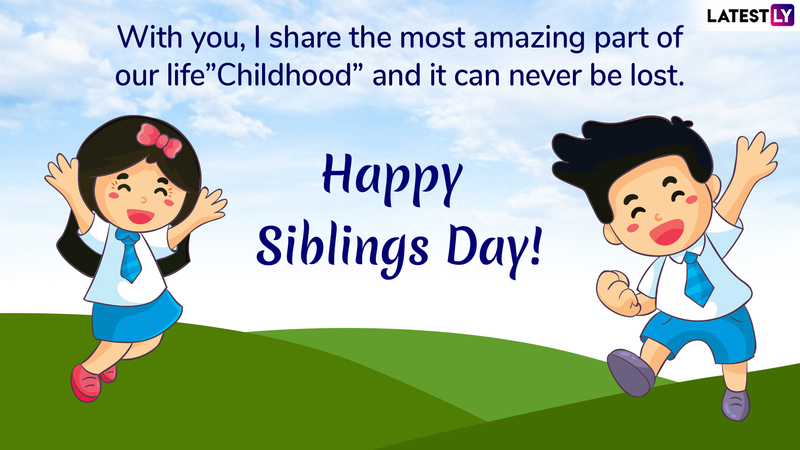 We hope the above GIF images, funny quotes and messages help you to express the bond of love towards your brother and sister. Don't forget to give them a hug and be nice to them for a change. 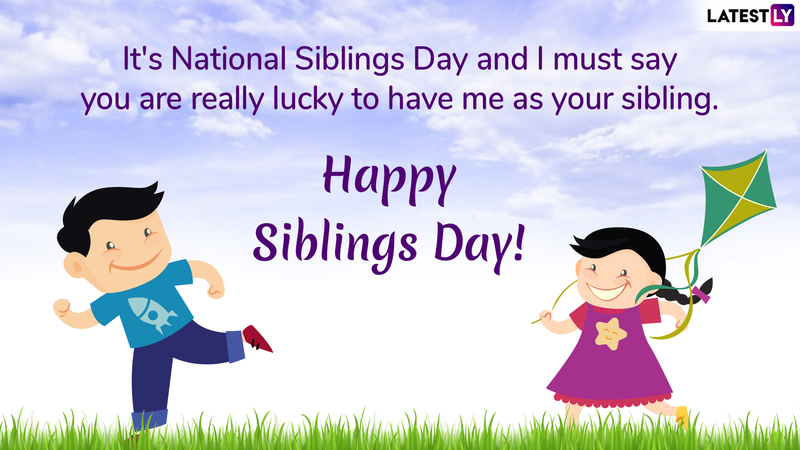 We wish you all a very Happy Siblings Day 2019!